A small village in the Sportwelt Amadé region (access to 860km of piste, 270 lifts and 25 resorts), Filzmoos dates back to Edwardian times, when it was a popular destination with the wealthy crowd from Vienna. 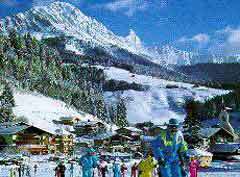 Its ski area is shared with neighbouring Neuberg and covers 32km reached by 17 lifts. It's a friendly and unspoilt spot and its gentle slopes are ideal for novices. 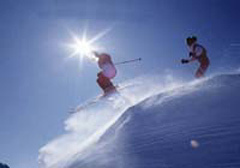 The highest skiing is at 1,645m, which drops down to the resort level of 1,060m. Set at the foot of the Bischofsmütze mountain, the area has a good record for snowfall. There is no through-traffic and the après-ski comes highly recommended. For cross-country skiers, there are 30km of picturesque trails. Picturesque family orientated resort, ideal for snow lovers of all abilities.